A premier Volkswagen dealership near West Covina, California, Puente Hills Volkswagen is proud to provide local drivers with a wide selection of Volkswagen lease opportunities. If you’d like to drive a top-quality vehicle but are worried about the commitment of making a full purchase, a Volkswagen lease from Puente Hills VW could be the answer. An auto lease can be an excellent choice for those who don't want to shell out too much for a vehicle, as leasing will generally come with lower monthly payments, a smaller down payment, and fewer maintenance-related costs. With an auto lease, you may have to deal with fees associated with mileage and damage to the vehicle, but if you’re a responsible driver who tends to log fewer miles than most, this shouldn’t be an issue. A Volkswagen lease can be particularly beneficial for those who are using the vehicle for business, as it will enable significant tax deductions. Curious if a Volkswagen lease is right for you? Give us a call or visit our Volkswagen dealership near West Covina, CA to speak with one of our friendly representatives! With the Volkswagen lease opportunities available at Puente Hills VW, we hope to help West Covina, CA drivers overcome any barriers so they can drive the car they’ve always dreamed of. We’re confident that our selection will have something for you to get excited about. 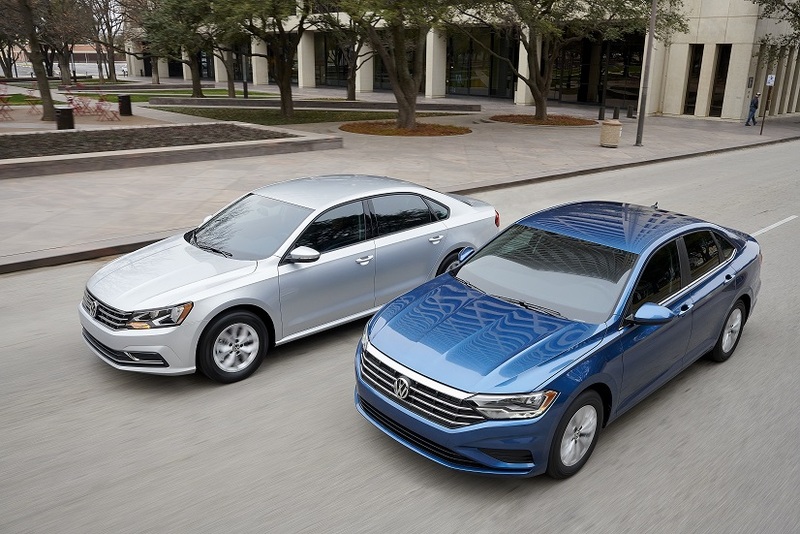 Whether it’s the versatile Volkswagen Golf Alltrack, the sleek Volkswagen Passat, the value-packed Volkswagen Jetta, or the spacious Volkswagen Atlas, you’re bound to find the right vehicle for your lifestyle and budget. Your next drive down I-10 could be in a brand new Volkswagen vehicle: visit Puente Hills VW today to explore our selection in person and learn more about what a Volkswagen lease can do for you! No matter what you drive, the quality of your auto financing can make or break your driving experience. At the Puente Hills VW auto finance center, we strive to help West Covina, CA drivers identify unique solutions for their financial needs. Whether you’ve framed your credit score up on the wall, or you actively avoid thinking about it, we’ll help you secure a low-rate auto loan so you can focus less on your payments and more on enjoying your vehicle. Under the financing tab on our website, you can take advantage of a variety of tools which will let you value your trade-in, calculate monthly payments, and estimate savings from fuel costs. You can also browse Volkswagen financing and Volkswagen lease opportunities, and even apply for online credit approval to get a jump start on your auto financing process. If you’d like any guidance along the way or are eager to dive into your Volkswagen financing journey, just give us a call or swing by our auto financing center at 17110 Gale Avenue, just outside of West Covina, CA!